Adverse Weather and Fatal Crashes Involving Large Numbers of Vehicles (Authors: Ying Wang, Liming Liang, and Leonard Evans). Using By studying all 1,513,792 fatal crashes in FARS data, 1975–2014, we proved that fatal crashes involving more than 35 vehicles are most likely to occur in snow or fog. Fatal crashes in rain are three times as likely to involve 10 or more vehicles as fatal crashes in good weather. Fatal crashes in snow [or fog] are 24 times [35 times] as likely to involve 10 or more vehicles as fatal crashes in good weather. If the example had used 20 vehicles, the risk ratios would be 6 for rain, 158 for snow, and 171 for fog. Such large risk ratios are rarely encountered in safety research. To reduce the risk of involvement in fatal crashes with large numbers of vehicles, drivers should slow down even more than they currently do under adverse weather conditions. Using national datasets and applying plausible assumptions about rates of pregnancy and traffic fatalities, we estimated the number of fetuses killed per year in traffic crashes in the USA. Two main assumptions were: (1) pregnant and non-pregnant women of the same age have equal chances of becoming traffic fatalities; (2) the death of a pregnant woman leads to the death of her unborn child. We computed that 227 pregnant women died in US traffic in 2012, implying also 227 fetus deaths. This contrasts with 60 babies aged less than one year killed in traffic crashes in 2012, equivalent to 45 deaths in a the nine month period corresponding to pregnancy. Thus the risk of fetal death during pregnancy is 227/45 = 5.04 times the risk after birth for equal exposure times. This ratio likely underestimates the disparity because the risk of crashing increases during pregnancy, and the 5.04 ratio ignores the many cases in which the mother survives but the fetus does not. 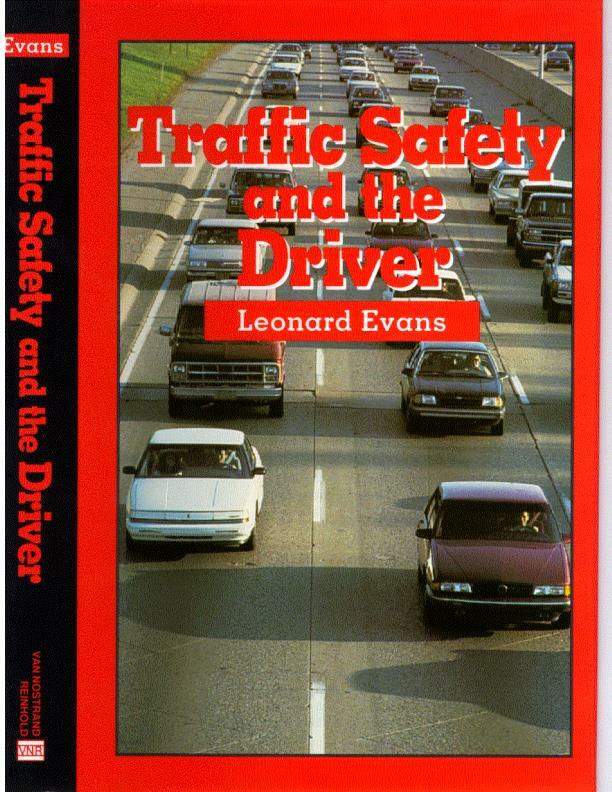 • In early 1970s the National Highway Traffic Safety Administration (NHTSA) sponsored a major study that identified the road user as sole or contributing factor in 94% of crashes; the vehicle was the sole contributor in 2%, the same percent found in a British study. • Example - Toyota phantom acceleration - allegation that, in a decade, 19 deaths were associated with this defect, while ignoring 22,574 people killed traveling in Toyotas vehicles - almost none of these deaths had anything to do with vehicle technology - defective or otherwise. • Plaintiffs’ lawyers likely pocket more than a billion dollars from this defect. Settlement details are kept secret—yet another example of “damn the public interest” in favor of lawyers’ interests. • They contribute a percentage of the loot to the lawyer-legislators who create this system. * by December 2015 passed 100 - but a long way to approach 130 thousand. Litigation interests prevent us from knowing even the distribution of traffic offenses (speeding tickets, no license, alcohol, belt use) of this group compared to the general public, but I am confident it is quite unlike that for typical drivers. I have switched off the ignition on my Cobalt (when no traffic around). Not a pleasant experience - but doing what any driver would instinctively do (push harder on brakes, turn harder on steering wheel) brings vehicle to safe stop at side of road. I had zero concerns driving with the defective switch even though bad engineering) - never had any problems. The major legitimate public concern should be the 85 traffic deaths per day that do not generate litigation wealth. The headline “Safety Gains in Newer Cars Cut Traffic Fatalities” (page one, Dec. 20) may be literally correct, but it conveys a grand falsehood. Eighty years of scientific research show that policies addressing how people drive have an effect on safety that overwhelms technological details. U.S. traffic deaths have declined since 1972 by 41%. This might seem impressive. However, deaths in the Netherlands declined by 81% in the same period. If U.S. deaths had declined by 81%, we would be killing 22,000 fewer Americans on our roads each year. Vehicle improvements in all motorized countries have been similar. We are killing the additional 22,000 because of our aggressive denial of the science that shows that vehicle factors, while important, aren’t as important as road factors, which aren’t nearly as important as driver-behavior factors. The U.S. driving population is fed a diet of misinformation that vehicle factors are crucial. Examples are the massive attention given to defects in Toyota and GM vehicles. It is alleged that these defects played some role in fewer than 100 deaths in a decade. In the same decade more than 450,000 people, including more than 8,000 children under 8, were killed in U.S. traffic. Overwhelmingly, their deaths had nothing to do with technology, defective or otherwise. The 450,000 deaths should be the focus of public concern, not the few that generate litigation earnings.